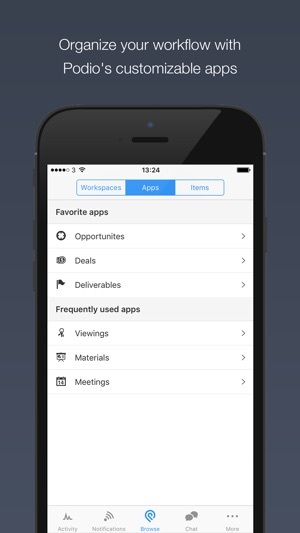 The ultimate companion app for Podio – enabling you to run your projects and collaborate with your team from anywhere. Take your content and conversations with you, no matter where your workday takes you. 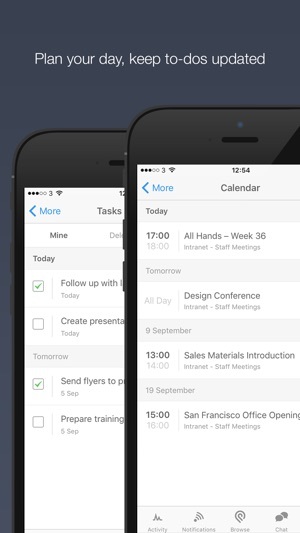 • Organize and track your projects – customized to suit how you manage deadlines and responsibilities, share content and discuss ideas. Get the exact overview required to see you’re making progress. • Communicate with team activity streams – get updates, ask questions and share files, without messy CC-email threads. 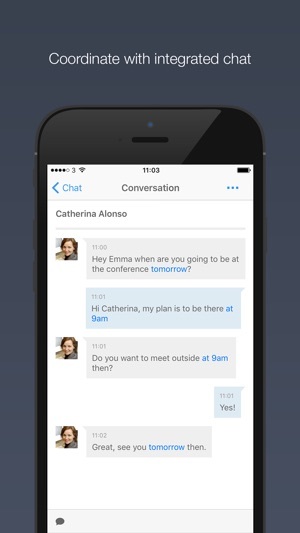 And, chat in real-time with one-to-one or group instant messaging. • Create stronger client relationships, using Podio to present and receive feedback on your project deliverables. 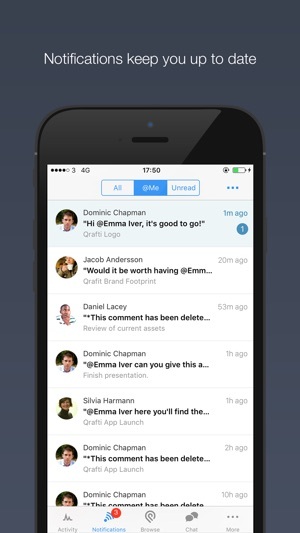 Interfacing with clients is just as easy as working with your own team on Podio. • Extend Podio in minutes to handle your sales and account management processes – align company departments and get everyone on the same page. Plus, bring in content from Dropbox, Google Drive and more. More than 400,000 growing businesses and innovative teams use Podio to organize their everyday work. Start today, for free. This allows Podio to let you choose co-workers among the contacts in your phone address book. Notifications may include alerts, sounds, and icon badges. These can be configured in Settings. This allows Podio to let you capture a photo for your user profile or to attach to a Podio item. This allows Podio to let you record audio for use with Podio Items. This allows Podio to let you choose photos from your Library to attach to Podio Items. I decided to check out podio for a new work project. It has been about a year since I used it but I remembered clearly how much I liked the intuitive layout and the effortless syncing with google docs. It was great in the past. Now, I cannot even sign in to Podio’s mobile app. I have tried signing in with my google account, creating a new podio account using my google account, trying again with a new google account, deleting the app and re-downloading it, but I keep getting the same result. As soon as I give podio full permission to access my google drive, the app freezes briefly before going black and exiting the app. Developers, I have much respect and admiration for what you do and all that you have created. I trust that this is only a temporary bug and you are probably already working on this. If it helps, I’m running iOS 12.1 on an iPhone 7, but this problem seems to be an authentication error related problem. Best of luck and thank you in advance to any response. Thank you for reporting issue with Google sign-up. This is now fixed in recent version released (5.14). Almost perfect. iPad app is missing one big thing though. It is difficult to see an overview of the calendar on the iPad app. The only option for viewing the calendar on the iPad app is a list view. And that list view doesn’t even show the day of the week (ie: “Monday” “Tuesday”). This makes it difficult to schedule things with my clients. I always have to jump back over to the iPhone app or a web browser. Will gladly give this app 5 stars when this is possible. Well...all of my Customer Base and profile info is stored on your platform. Do maintenance on a saved version of your system. Don’t shut down my company because you are fixing slowness issues. And for the record, my stuff was working great. And you can’t tell me when you’ll be back up either?? I just purchased your best version upgrade of Podio too. I’ll be looking for another CRM for our company while this is going on. Or I’ll accept a full refund in lieu of leaving your company. And reverse my one star if you promise not to do this again. You cost me an important deal today and we are dead in the water until you fix whatever is supposedly broken.